Donald Trump's campaign has cited the immovability of arm rests between first class seats on the old Braniff Airways planes to refute an allegations of a 1979 sexual assault on a woman by the candidate. But the armrests did move. Jessica Leeds was among the first women in recent days to accuse Trump of touching them inappropriately. Trump has denied the allegations. 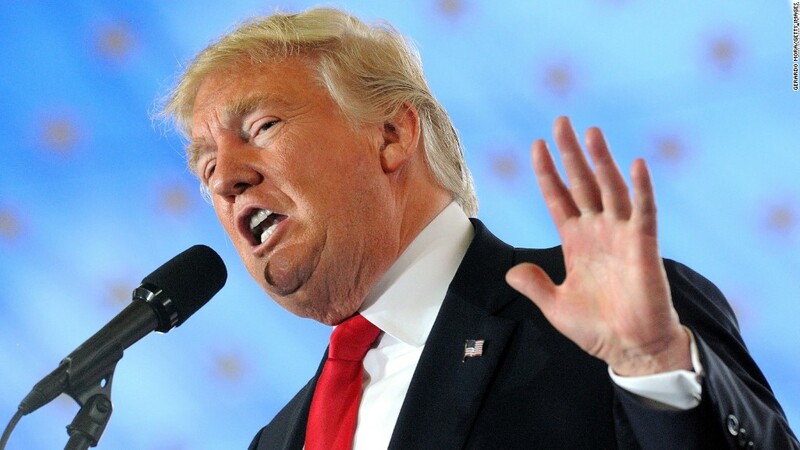 Leeds, now 74, has alleged that about 45 minutes after takeoff on a Braniff International Airways flight from Dallas to a New York area airport, Trump moved the armrest between their first class seats and groped her. She claims the incident occurred in 1979. Campaign spokeswoman Katrina Pierson refuted Leeds's allegation Wednesday on "CNN Tonight with Don Lemon." "First class seats have fixed armrests. So what I can tell you if she was groped on a plane, it wasn't by Donald Trump and it certainly wasn't in first class," Pierson said. Excerpt from Braniff Airlines' flight attendant manual. 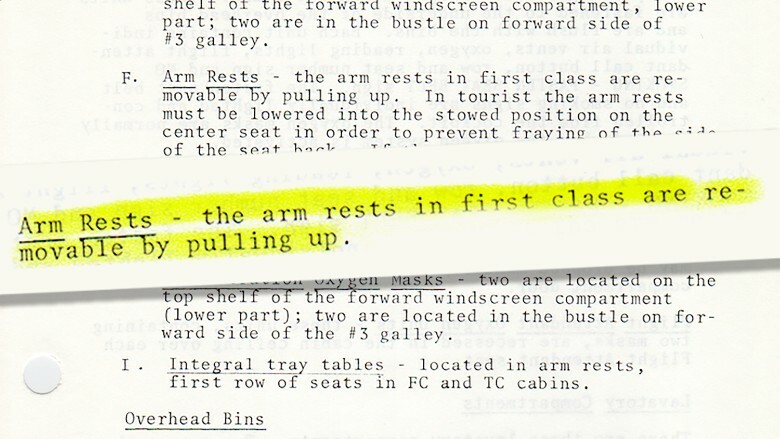 But a 1979 flight attendant manual furnished by the Braniff Airways Foundation stated "the arm rests in first class are removable by pulling up." Braniff, which ceased operations in 1982, operated the flight, according to Leeds' recollection. Leeds recalled flying on a Boeing 707 during the flight, however, the four-engine airliner had ceased flying with the airline in 1973, according to Ben Cass, the foundation's president, and other aviation historians. Braniff's first class seats with moveable armrest. Braniff, according to 1979 timetables reviewed by CNN, operated flights to New York from Dallas with a Boeing 727, which has a fuselage shape identical to that of the 707. The airline's Boeing 727-200 fleet was outfitted with what was known as its "Ultra" interior made up of 24 first and 104 coach class seats, according to documents reviewed by CNN from the Braniff Airways Foundation. 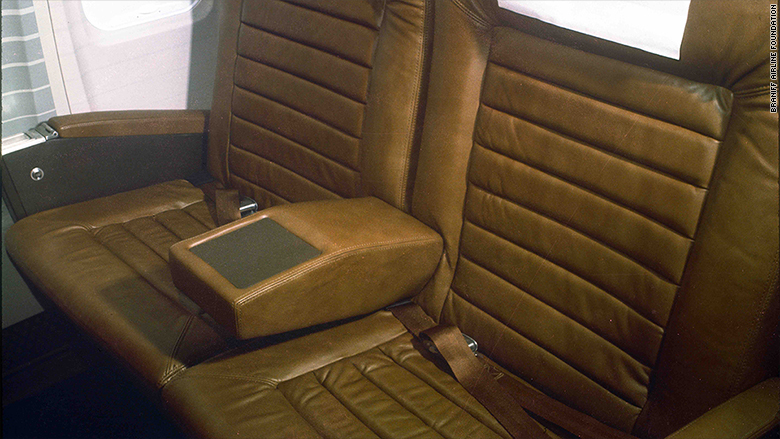 The leather first class seats were designed with the removable center armrest for cleaning or "for a passenger that wanted to stretch across the seat," Cass said. Cass said the armrests were typically removed by a flight attendant, but were also removed by knowledgeable passengers. Leeds was one of several women who have claimed in recent days that Trump touched them inappropriately. He has denied the accusations and CNN has not independently confirmed their accounts.